Dr. Wong is Professor and Director of the Heart Disease Prevention Program, Division of Cardiology at University of California, Irvine, and Adjunct Professor of Epidemiology and UCLA and UC Irvine and in Radiology at UC Irvine. He is also the immediate past-president of the American Society for Preventive Cardiology (president 2010-2012) and a fellow of the American College of Cardiology and American Heart Association. 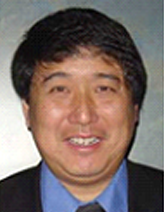 Dr. Wong holds PhD and MPH degrees in epidemiology from Yale University, is a cardiovascular epidemiologist and specialist in preventive cardiology, and has authored or coauthored over 200 peer-reviewed manuscripts in the epidemiology and prevention of cardiovascular disease, including his research areas of subclinical atherosclerosis, metabolic syndrome and diabetes. He has been a collaborator or investigator with the Framingham Heart Study, Multiethnic Study of Atherosclerosis, Cardiovascular Health Study, Women’s Health Initiative and other prospective studies and trials. He also recently co-edited the first edition of Preventive Cardiology, a Companion to Braunwald’s Heart Disease, and previously edited or co-edited three other textbooks. He is also on the editorial board of several cardiology journals, has lectured internationally on his research and various topics in preventive cardiology, and is a member of Who’s Who in America and Who’s Who in the World. Recently, Dr. Wong was the 2011 recipient of the Jan Kellermann Memorial Award for distinguished contribution in the field of cardiovascular disease prevention.